There were some really great short stories in here that offered a quick peak into the lives of characters we’ve seen before and some we haven’t seen. It opened up the world of these Neighbors and took a closer look at their point of view in dealing with the humans around them. This was a pretty good collection of stories from this world. Some favorites were Pyrite Knight and Defender and Ash. My least favorite was The Vampire's Lover as it changed some cannon elements. All in all, I am looking forward to the second collection. I liked a few of the stories, but I thought that most of them were fairly boring. It just felt like to me that there wasn't much point to most of the stories, and most of the new characters in these stories weren't that interesting to me. A few of of the stories were also just really confusing to follow. It might still be an ok read if you're a fan of the series (like I am) since it's not terrible, but definitely don't recommend to non-fans. 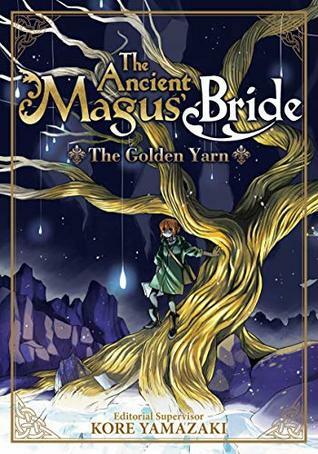 Enjoyable collection of short stories that take place in the world of the Ancient Magus' Bride manga. Every story but the last one seemed to fit fairly seamlessly into the lore, and it was interesting to read about the other characters and creatures that inhabit that world. Tragedy and joy lace together many of the stories and I would recommend this book for fans and non-fans alike. More misses than hits in this collection. A lot of exposition fat that could be trimmed since fans of the main series will be the ones to pick this up. some of these are so crazy dark but so beautiful - not a surprise at all. 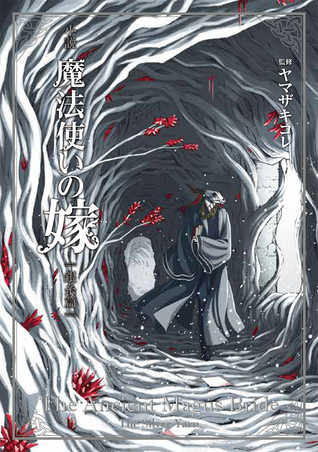 and a cliffhanger for volume 2 - THAT was a surprise. a MUST MUST MUST for AMB lovers. I finished the last story going into the new year of 2019, and I’m happy to say it’s is a great start to the new year! Some fun stories, mostly about side characters. A few seemed incomplete, didn’t fit with the main storyline, or weren’t as entertaining. Overall, fun quick read.